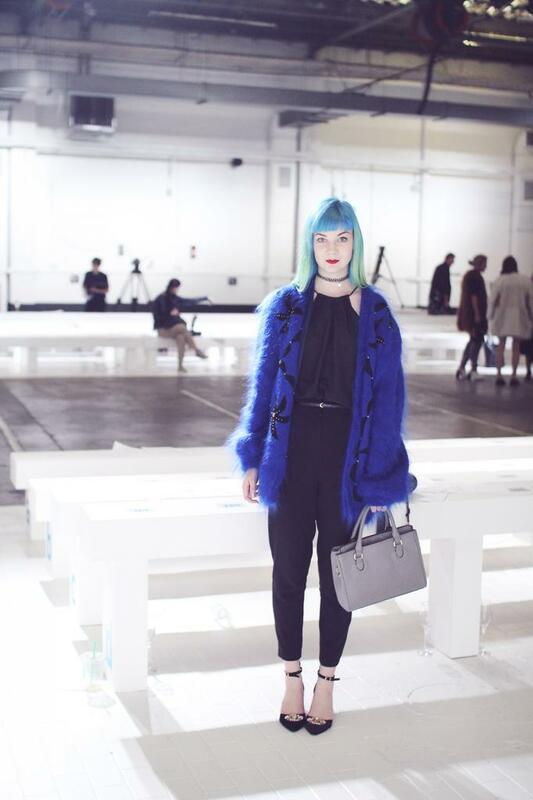 My first style crush of this month is the blue haired babe that is Zoe of zoelondon. I love this sleek all black look with the massive colour pop from a quirky vintage cardi, and cute 90s choker to keep things very ‘zoelondon’. Charissa is officially the second person to have featured in my monthly style crushes post twice! I couldn’t not include this look after spotting it yesterday as I was starting to write up this post. This is a silhouette I’m really loving at the moment, and Charissa does it so well. I found Emily’s blog through Instagram – hers (@emilycocklin) is one of my faves to follow! I love this laid back ensemble, and the inventiveness of tying the top part of a co-ord around the waist to create cool detail. 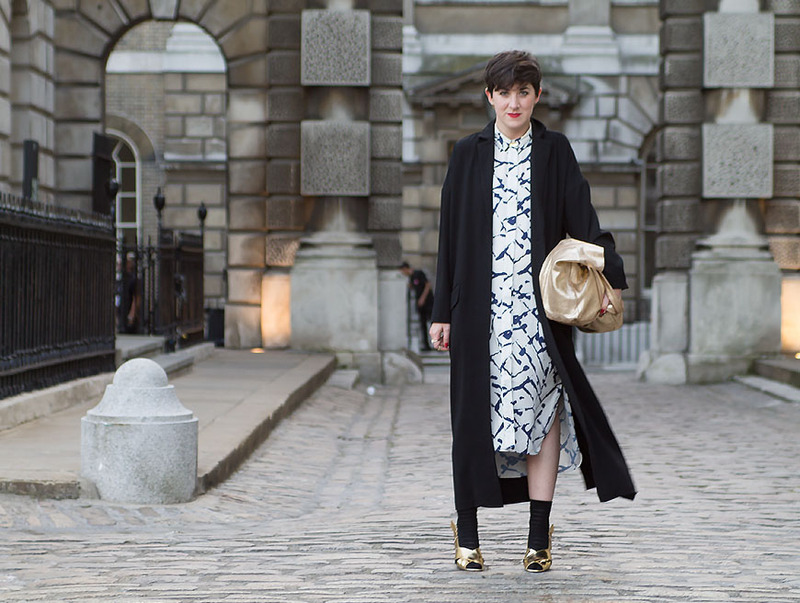 I started following Amy because, like me, she falls into the niche category of law student / fashion blogger. I continued following her because she’s just such a doll! I particularly liked this look of hers this month, I’m still feeling printed palazzo trousers and this pair is styled perfectly. I had the pleasure of meeting the wonderful Lauren at fashion week this month – the self-titled ‘lovechild of Derek Trotter and Carrie Bradshaw’ (lol) does modern-with-a-vintage-twist so well! None of this particular outfit is actually vintage, but I think the shoes easily could be and I love how they look with the longline dress and duster coat combo. Another lady who I was introduced to at fashion week is the gorgeous Lizzie. I admire her minimalist aesthetic so much (along with her taste in shoes), and just had to include this look featuring the French Connection trousers that I’m still lusting over in my Style Crushes post. Sarah has gone from strength to strength in recent months. In case you’ve been on a different planet, her Instagram (@sarahhashcroft) is absolutely huge now, and with good reason – she is such a sweetie! I loved this look from fashion week, definitely a refreshing change from Sarah’s go-to pastels, and she really pulls it off. I particularly like the matching red lips and shoes! I'm following some of these blogs, they are good ! Love these posts, particularly enjoying Emily's style here! I love all these girl's style, great picks! Also loved all your LFW outfits, amazing! Amazing inspiration, i love Sarah Ashcroft too, i need her wardrobe!